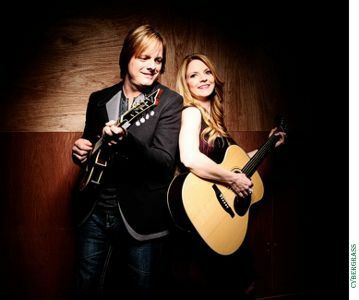 After taking some time off from the road to help launch the Cumberland River Academy and spend time with their daughter, Darron and Vanessa Nichols (Common Strings) is ready to hit the touring trail again! Common Strings has lots of options to offer talent buyers. From their hard driving traditional bluegrass music sets, heartfelt gospel sets, and their educational seminars about Appalachian music and culture, which is entitled Appalachia Is My Country. Scranton, PA -- When it comes to the music of Cabinet, the essential bywords are soul, simplicity, and serious musicianship. In concert, thecombination of these qualities invariably yields an experience that is so celebratory and moving that the very word Cabinet takes on a new, vivid meaning for anyone in the audience. An inclusive and engaging energy is the uniting through-line as Cabinet weaves bluegrass, country and folk influences to powerful effect. Tight dynamics punctuate gorgeous, soaring harmonies as down-to-earth rhythm and lyrics give way to dreamy jams that are the musical equivalent of the back road scenic route. Rocky mountains, the Great Salt Lake, awe-inspiring Yosemite, Midwestern plains, and a deep, dark cave all mark a great journey ahead for Alt-Grass revolutionist, The Hillbenders. Embarking from their hometown of Springfield, MO, the rapidly emerging stars will travel half the country this Fall on their Half Moon Harvest Tour, reaching Colorado, Utah, Wyoming, California, Oklahoma, Missouri, Illinois, Arkansas and Tennessee. The Hillbenders are ready to rock a town near you. Nashville, TN (August 22, 2013) – Lonesome River Band, fresh off another performance at the Grand Ole Opry last weekend, will now head overseas to headline the 22nd Annual Bluegrass Music Festival in Omagh, Northern Ireland on August 31 and September 1, 2013. For more information on the festival including tickets, please visit Ulster American Folk Museum. Nashville, TN -- Rural Rhythm Records is proud to announce that bluegrass music artists The Roys currently have two albums on the Billboard Top 10 Bluegrass Album Chart. This week The Roys have the #2 position with their 2013 album release Gypsy Runaway Train and the #3 position with their 2012 album release New Day Dawning. Burlington, MA -- The SteelDrivers, referred to as “a force in bluegrass and beyond” by USA Today, are hitting the road to tour cross-country this summer/fall in support of their new release, Hammer Down (out on Rounder). - They will be performing in major markets including Nashville, TN, Gettysburg, PA, Providence, RI and at popular bluegrass festivals along the way. Roll Me, Tumble MeLast week, Boston’s Deadly Gentlemen released Roll Me, Tumble Me, their debut disc for Rounder. On Friday, they premiered the video for “Bored of the Raging,” the first single off the album, on www.AmericanSongwriter.com. San Francisco, CA -- Multi-award winning vocalist Carrie Hassler takes off for a mini tour in Northern California next week. Her scheduled performances include the Freight and Salvage Coffeehouse in Berkeley on July 17, the Trinity Alps Performing Arts Center in Weaverville on July 18, and the Scott Valley Bluegrass Festival in Etna on July 20-22. Carrie is currently celebrating her most recent album release, The Distance. Before heading to California, fans can see her perform this weekend at the Nine Mile Volunteer Fire Department’s Festival in Pikeville, Tenn. More details on each event including ticket information can be found at carriehassler.com.